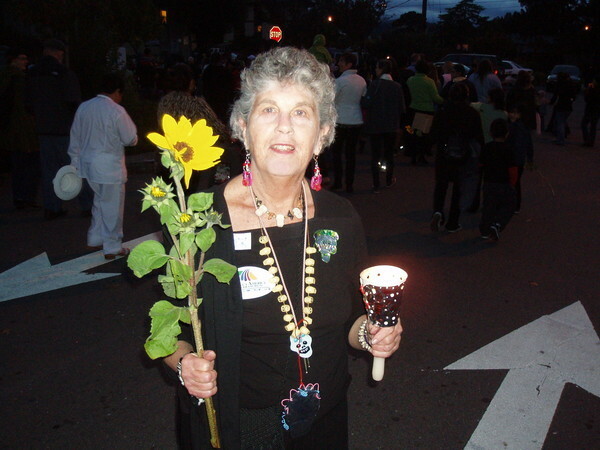 This my Aunt Zoe celebrating Dia de los Muertos in San Rafael, CA. She has always been a HUGE inspiration to me. I have fond memories of her introducing me to the magical world of this Mexican Holiday back when I was a wide-eyed little girl, soaking in all the wonderment of the festivities in the Mission District of San Francisco. I cling to a dream of traveling to Mexico with her one day, a sort of pilgrimage to the source of the Folk Art that kindles my creative spark.